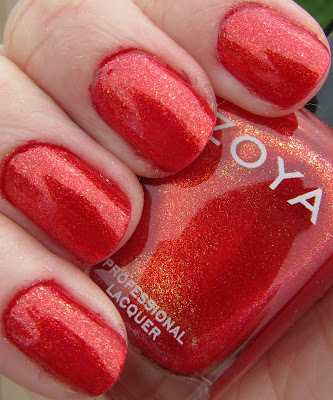 Here is the final collection for Summer 2011 from Zoya - the Sunshine collection! 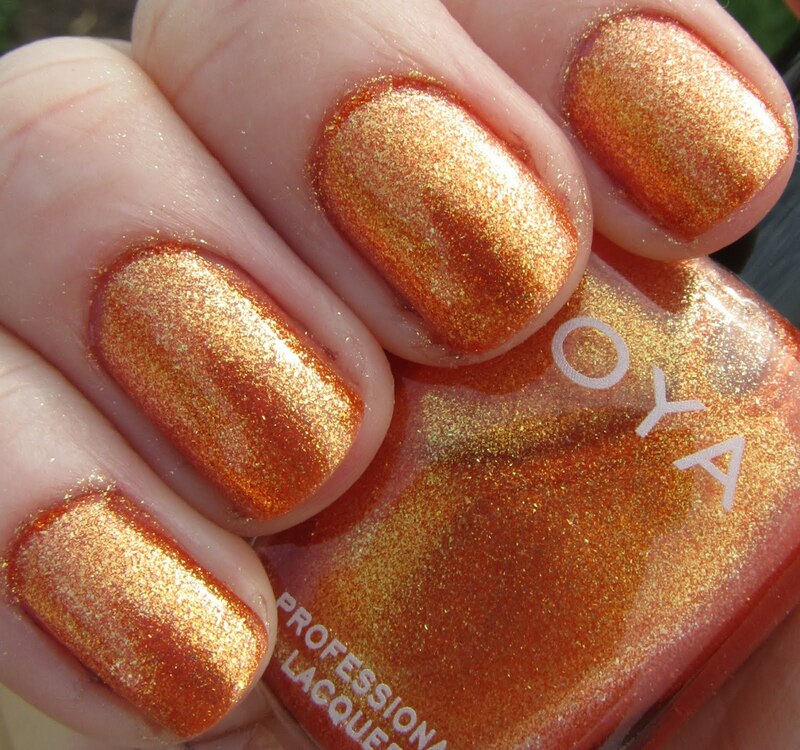 This collection is full of golden sparkle, really living up to its sunny name! All polishes are shown without base coat and with top coat. Click on each picture to enlarge and see the detail of that sparkle! 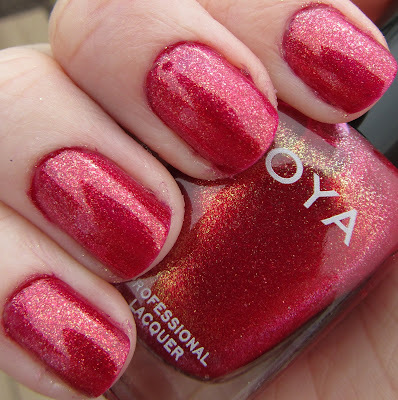 A pinkish red that reminds me of a strawberry, packed with golden flecks. This is a really gorgeous color, I feel like the picture doesn't do it justice. It has a lot of depth. Two coats for full coverage. Bright, saturated red with red sparkly flecks. Again, the picture does not do this justice - click to enlarge to get at least a bit of a feel for this one! Two coats for full coverage. A light yellowish green packed with golden sparkle. Three coats for full coverage. This is a very aptly named polish - makes me think of green apples, yummy! Light yellowish orange with golden sparkle. A very nice summery, light orange. Three coats for full coverage. 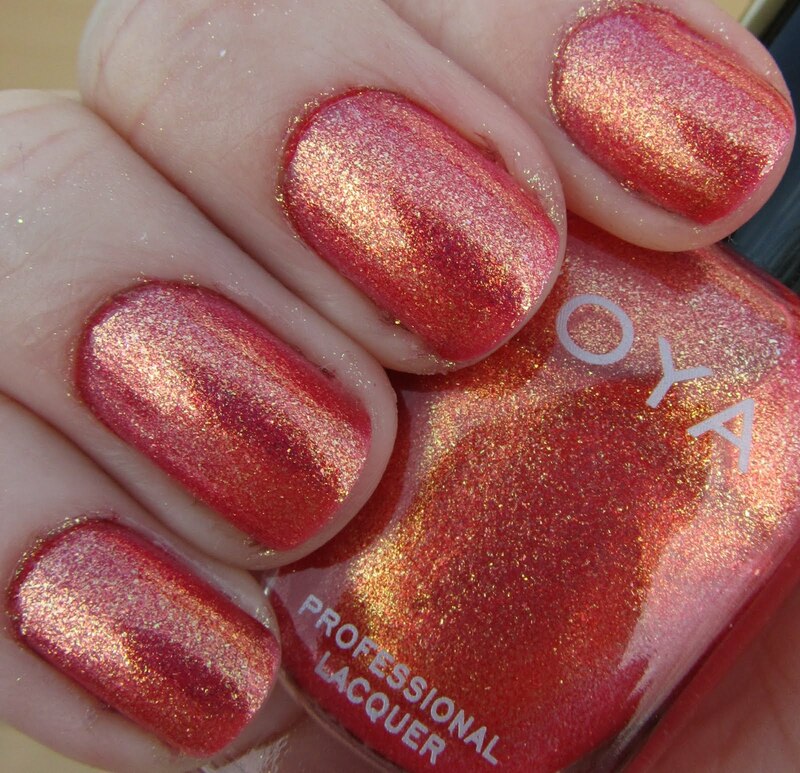 Warm pinkish coral, once again packed with golden sparkle! Really love this one. Three coats. One of my favorites from the entire summer collection, this one is really unique! A brownish plummy purple with a lot of golden sparkle that gives this an almost duochrome quality. 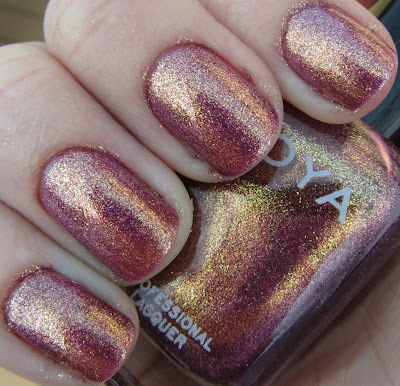 This is an amazing polish! Three coats for coverage. Application on these was very good - two to three coats, smooth and fast dry time. Also, removal was fairly easy, which I was worried about given the crazy amount of sparkle in some of these. They dry with a smooth surface, not gritty like really glittery polishes. There are a lot of fun summery colors to choose from, and I am really loving the golden glitter! Faye is my favorite, since it is so unique, with Rica coming in close second. Overall a very nice collection, and I am sure these will all be used sometime this spring/summer for full manicures! 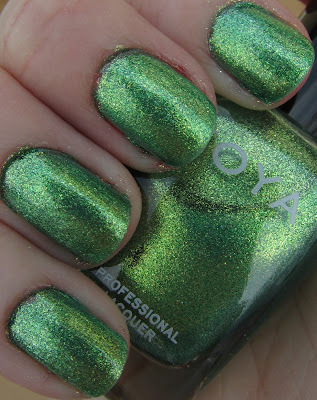 So what is your favorite Zoya Summer 2011 collection - Sunshine, Summertime, or Mod Mattes? Or do you have a favorite polish overall out of all three collections? I have two of these summer polishes to give away, so keep an eye out for a giveaway post sometime this week! Loved seeing your pictures of this collection, Jenny! :) I only got Sooki and Phoebe, so I can't really say which I think is best. The two I got are great, though. Wish I had them all! ;) Hope you're doing well!? I'm not sure if I ever mentioned this, but I REALLY like the shape of your nails now compared to when they were longer. Heck, I even like them short too. They look really good for some reason. Seriously. Ahh now I need some of these! ohh i love love love apple! I don't have anything like it.